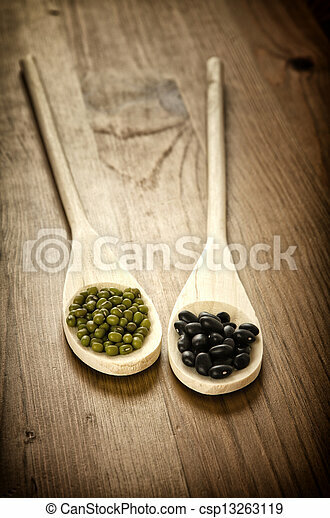 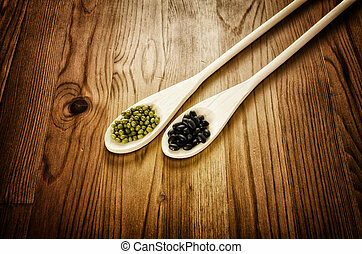 Soybeans and black beans in wooden spoons. 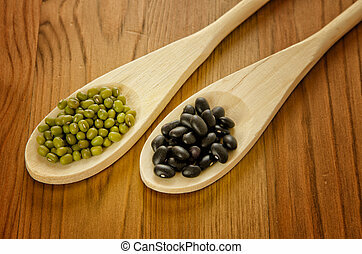 Green soybeans and mexican black beans on wooden background, biologic agriculture. 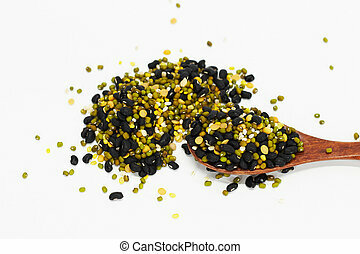 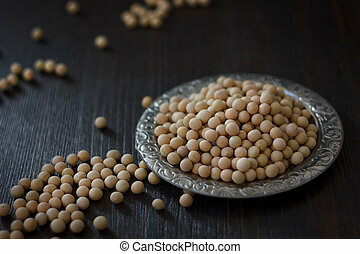 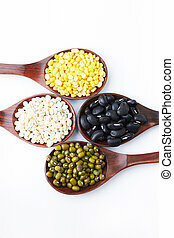 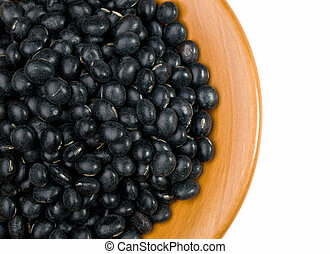 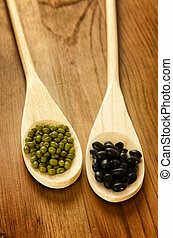 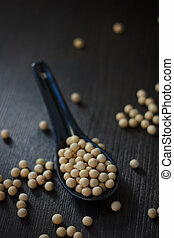 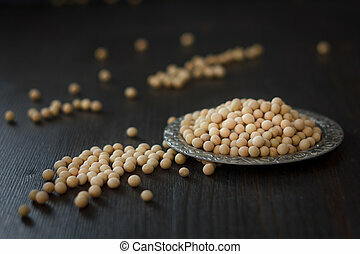 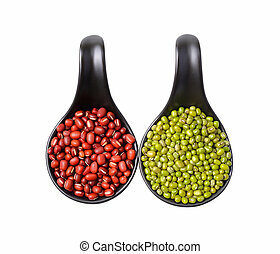 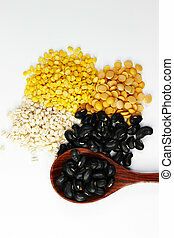 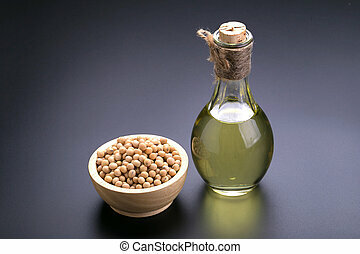 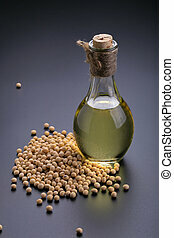 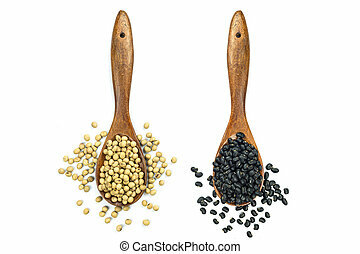 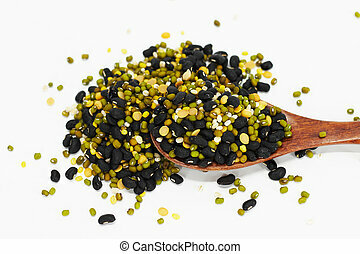 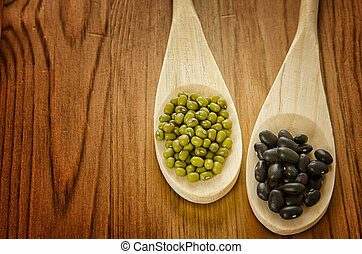 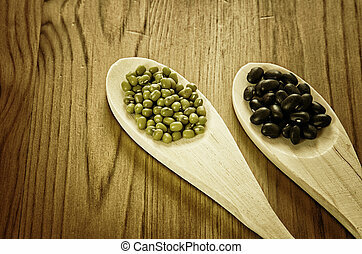 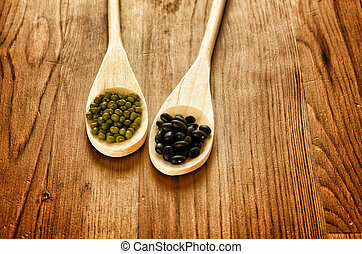 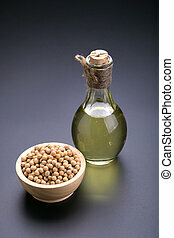 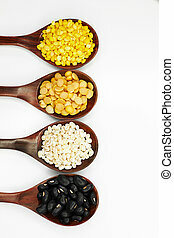 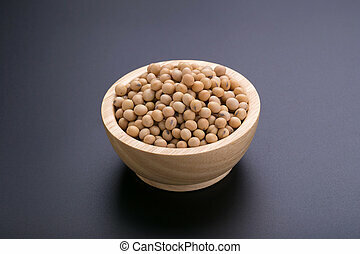 Soybeans in a wooden bowl and soybean oil on a black background.